The Heavyweights – High on potential or low on talent? Barely a month into 2016 and we’ve already seen some interesting developments in the normally sleep inducing heavyweight scene. I hate to open an article with such a statement as, traditionally, the division has always been the jewel in the crown of world boxing but, as we know, times have changed. I grew up in an era where we looked to the golden years of the 70’s when Ali, Frazier, Foreman and Norton plied their trade and it would be an injustice not to mention Holmes in that list. These days we look to the likes of Tyson, Holyfield and Lewis for inspiration. Names like Tim Witherspoon, Ray Mercer and the late Tommy Morrison are often discussed purely on the level of sheer excitement that they brought to the ring and the world yearns for a warrior of the modern age to capture our imagination. It seems that Tyson Fury’s unlikely victory over the seemingly invincible Wladimir Klitschko has, once again, opened the floodgates on a new era and fighters are climbing out of the woodwork, and indeed retirement, to squeeze through the gap. 2016 may yet prove to be an exciting year for heavyweight boxing so let’s look at the men who may make that happen. I like Wilder, I have to say. He’s brash enough to make him interesting but I’ve never found the guy to be obnoxious or arrogant. He has talent, bags of it, but I think he has suffered from a career plagued by hand-picked opponents. Most of his bouts have been against ‘fighters’ straight off the meat hook but this could be said just as equally of the competition. 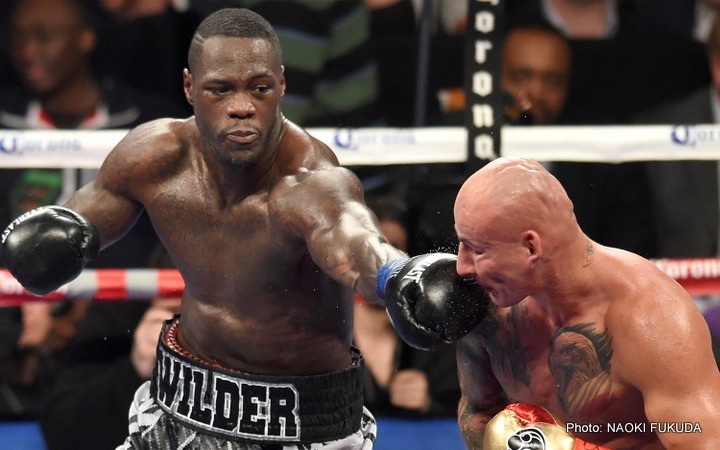 Wilder has power, speed and a good boxing brain. 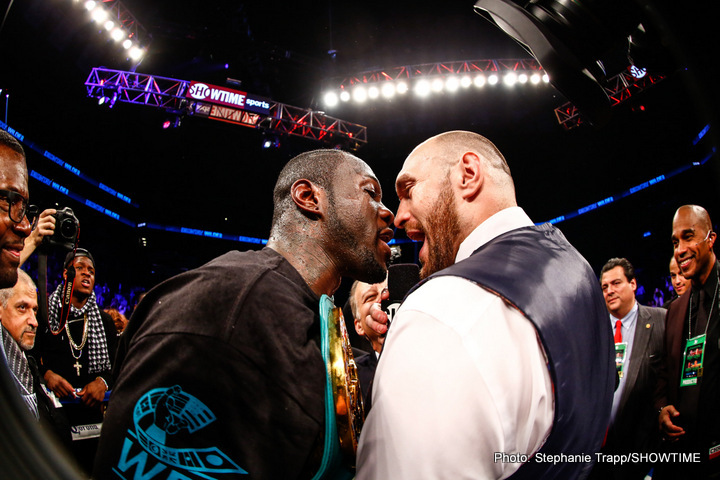 There are those who marvelled at Fury’s elusiveness in the bout with Klitschko but Wilder did it with far more finesse against Stiverne and, unlike the Clown Prince, Wilder landed enough leather to make it an exciting night’s work. He has his flaws however. For such a huge man, he would need a manual on how to throw an uppercut and this is the consequence of fighting guys who go over on demand. Now that he holds a belt, he’s facing stiffer opposition and this can only be a good thing for his development. Povetkin, however, will test him in a way that we’ve not seen before and that is the fight of 2016 for me. There is an expression ‘In the world of the blind, the one eyed man is king’ and in the absence of real talent, the world is left with Tyson Fury. I remember watching Frans Botha beating Axel Schulz for the then vacant IBF title (later declared a NC) and thinking that he was probably the worst heavyweight champion I had ever seen. It’s always great to be proved wrong so I have Tyson Fury to thank for that. The victory over Klitschko said more about Wlad than it did about his opponent and I expect Dr Steelhammer to produce a better performance in the rematch. Let’s face it, he can’t do any worse against a guy who has punched himself in the face with more ferocity than most he has faced. To find some positives about Fury, and I’ll make this as brief as it needs to be, he has a good reach that he uses well and doesn’t lack in confidence. To list his flaws would simply take too long and I have a hospital appointment in May. An entire era of heavyweight boxing was dominated by the Klitschko brothers and that was largely down to the intervention of the late, great Emanuel Steward. He took the best of what they had and, although many would see them as boring, he created two world class boxers. I always thought Vitali was a more exciting, come forward fighter but Wlad was a worthy champion. He was lazy, in my opinion, but so was Lewis. The one thing they both had was the ability to switch on when it was needed and Klitschko’s destruction of Kubrat Pulev was a fine example of what he could do when he had to. 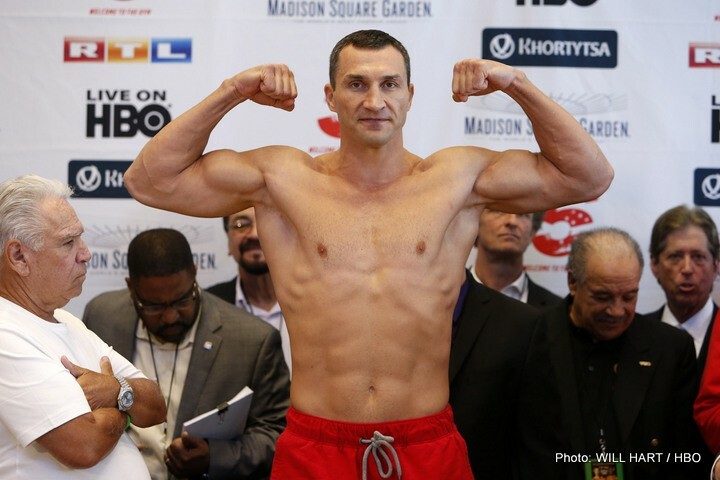 My difficulty with Wladimir Klitschko is that he came to rely far too heavily on a holding/leaning style. He wrestled fighters into submission and finished with a flurry of concussive blows. Referees were slow to step in and, like Mayweather, he was allowed to maul opponents when it was clearly excessive. This was, ultimately, his downfall. Having spent a decade facing fighters who came to rip the title away, he met a Tyson Fury who was happy to dance away and pick at Klitschko from range. Wlad seemed shockingly devoid of a plan B and, if he is to regain his belts, he must revert back to the boxer who came for a scrap. That was a very long time ago and, having been a worthy champion, only time will tell if he is still capable of being a worthy contender. The best of the rest in my opinion. A bull of a man who has speed, power, skill and ambition. I watched his bout with Klitschko again recently and it was an outrage that Wlad was allowed to hold and clinch round after round. Had the fight been fought in Las Vegas with someone like old Mills Lane in charge, the result could have been entirely different. 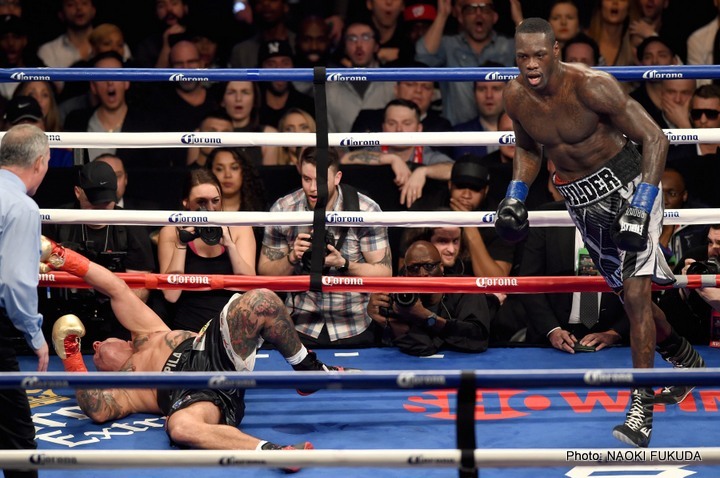 Wilder is avoiding Povetkin and for good reason. The Russian is dangerous at the worst of times and he will see that bout as a stepping stone to greatness. He has a concrete chin, and he may very well need it. Wilder is a ferocious puncher but Povetkin will be on top of the champion from the first bell and he is relentless. I think it will be a defining moment for both men. Should Wilder take the honors, he is the complete fighter. Should Povetkin prevail, he could hold the title for a long time and he will seek to unify the belts. I can’t imagine Fury or Charles Martin posing a threat. Should it finally happen, Wilder vs Povetkin could be the war that the division so badly needs. 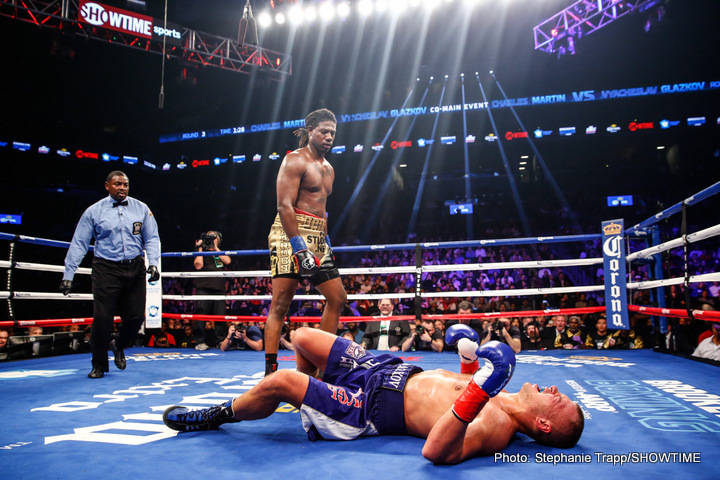 A lot has been made of Luis Ortiz victory over Bryant Jennings. Ortiz is a welcome addition to the contenders list and he has power that certainly excites. The same could be said for newly crowned IBF champion Charles Martin. The title fight itself was a wash out. To say nothing happened would be an over statement and one has to feel some sympathy for both men. Glazkov tore a knee ligament before any real action took place and Martin took a title that says nothing about him as a champion. Many would feel, and justifiably so, that the belt was stripped from Fury purely to make way for yet another champion. But, rightly or wrongly, this had nothing to do with Martin and he comes to the scene as an undefeated fighter. He is painfully slow however and, of all the champions, his hold on the belt is weakest. I see that Dereck Chisora is screaming for a crack at him and, when old Del Boy sees a legitimate opening, you know there’s a problem. I’d like to see Martin in with Ortiz. You could probably make coffee waiting for the shots to land but one fighter is definitely leaving the ring horizontally. Of the others, there are some decent fighters in development. Anthony Joshua and Joseph Parker are ones to watch down the road and David Haye is beating his drum once more. 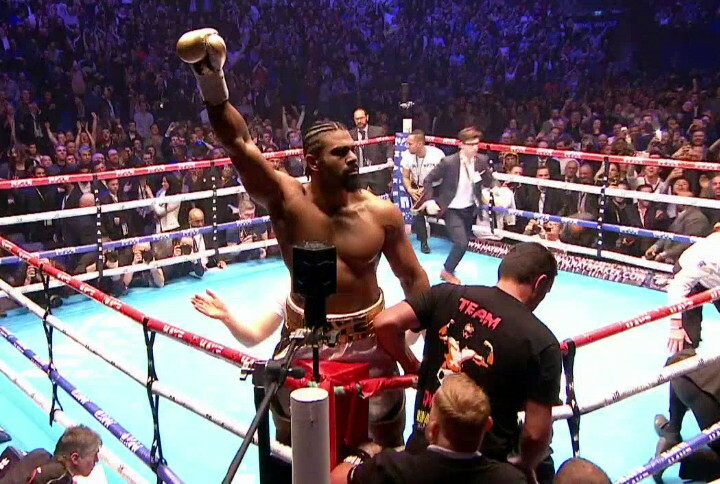 I was never a huge fan of Haye but he may make a dent in amongst the current crop of heavyweights. I would like to mention Ike Ibeabuchi. It is most unlikely that his comeback will go anywhere. He was a brilliant fighter in his day but, at 43, and after such a long time away from the game, one can only wonder where the road will take him. Many years ago, I emailed Ibeabuchi in prison. About a year later, he replied. I had mentioned that I was a correctional officer at the time and he stressed that the staff had treated him well in the facility where he was incarcerated. He said that he was training daily and kept himself well. He said he had found God and that he prayed often. He looked forward to a successful parole hearing and hoped to return to boxing. That parole hearing came far too late for a successful ring return, I suspect, but I hope he finds a peace in his life regardless. You are here: Home / Boxing News / The Heavyweights – High on potential or low on talent?